When your family gets large enough or you simply just want more car space, it may be time to look into getting an SUV. If your current car is feeling too cramped, come to Kia Cerritos near Carson and explore our 3-row 7-passenger SUVs options for sale. In addition to seating capacity, some 7-passenger SUVs also offer up cavernous and adaptable cargo areas with folding 2nd- and 3rd-row seats. For additional savings complete the form below to get a quick response. M.S.R.P. is Manufacture Suggested Retail Price. (for informational purpose only). Dealer price may vary. Call or visit Dealer for Specifics on pricing. While great effort is made to ensure the accuracy of the information on this site, errors do occur so please verify information with a customer service rep. This is easily done by calling us at (562) 860-2424 or by visiting us at the dealership. Why Buy an 8-Passenger SUV at Kia Cerritos? 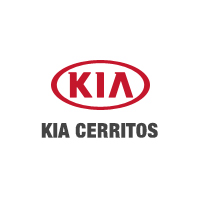 Stop by Kia Cerritos in Cerritos today and experience our 7-passenger SUVs in person, as well as other 8-passenger vehicles like the Kia Sedona minivan.